July 20, 2013 By Tina M 46 Comments This post may contain affiliate links. Read my disclosure policy here. I need your help! 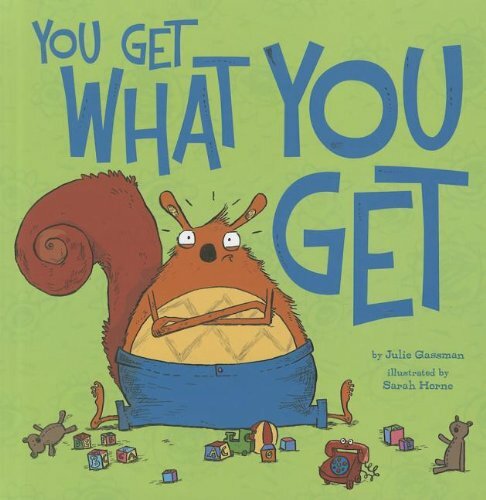 I’ve been on the search lately for cute children’s books that teach morals/life lessons. My toddler loves reading stories, and she is just getting to the point where she’ll actually let me read them to her rather than just looking at one page and snapping the book shut on me. I’ve been thinking a lot lately about how busy each day can be sometimes. I’ve often wondered if I’m doing enough teaching, and sometimes I wonder if I’m totally dropping the ball in that department. However, as busy as life can get sometimes, there is almost always enough time in a day to read a story or two before bed at our house. And that’s what made me think a little more deeply about the stories that I am reading her. I love reading her the silly books, and the educational books to help her learn colors, animals, etc., but I want to make sure that I make time throughout our week, to read her books that teach important life lessons. That way, she’s learning something valuable–even on the hectic and crazy days. I’ve been asking around, and this is where I need your help too! 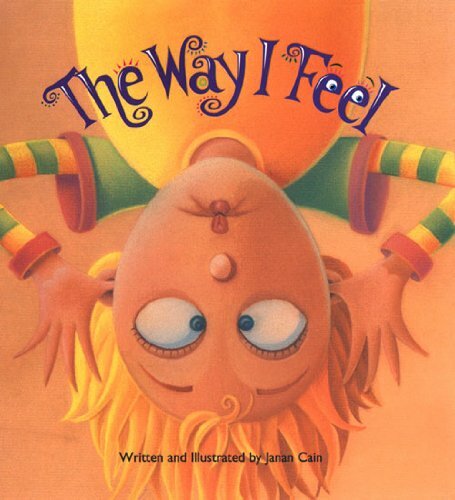 What are your favorite picture books that teach kids positive behavior? I’d like to add at least 1-2 new books to my collection each month. I mentioned in my previous post on How I Save Money Online, a few ways that I earn a few extra bucks (and Amazon credit) just by doing a few simple things. I’ve decided I want to use the Amazon gift cards that I get from the Ibotta to build up my collection of children’s books (get your first $10 using code “bbjckw”. Enjoy the list that I have rounded up thus far and please comment if you know of a good one as well! I will update this list, so feel free to bookmark this page or pin in on Pinterest so that you have it to reference back to. *Due to lots of great suggestions, there is a sequel to this post, titled books that empower children. I want to start the list with two of my favorite books: Fanny’s Dream and You’re All My Favorites. Book Description: In this inventive take on the traditional Cinderella tale, Fanny Agnes is a sturdy farm girl with a big dream. Someday, she believes, she will marry a prince. When the town mayor announces he is throwing a grand ball, Fanny is convinced her time has come. She puts on her best calico dress and goes out to the garden so that she’ll be ready when her fairy godmother arrives. As the seconds tick by, Fanny waits and waits. Finally, she hears a voice. It isn’t her fairy godmother-but it is someone who will change her life forever. LESSON: I LOVE this book! It has so many lessons. Making reality your fairy tale, appreciating what you have, true love, hard work, and I’m sure there are a few I’m missing here. I want each of my girls to have their own copy as the lessons become especially important through their dating years. 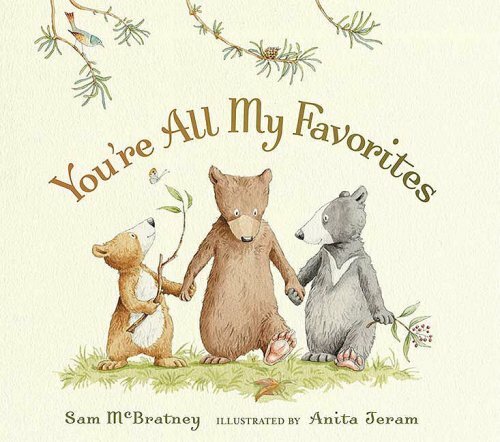 Book description: a story that answers a timeless question with the ultimate reassurance — and offers the ideal way for parents to remind their own little cubs how very much each one is loved. LESSON: Parents love each of their children uniquely. 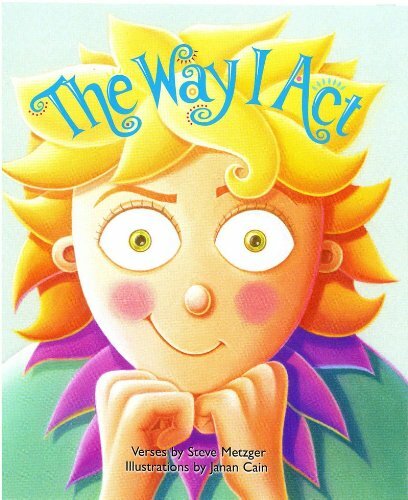 One of my favorite children’s books that teach parents love each of their children individually. LESSON: How we act effects other people. Teaches traits such as compassion and bravery. LESSON: Good for kids that don’t like to follow directions. Learning to disagree appropriately. 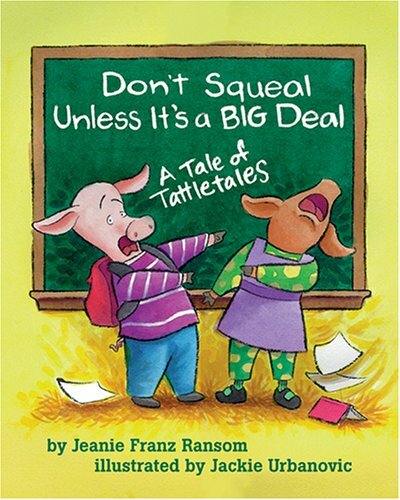 Book description: With humor and exuberance, a compassionate problem-solving teacher shows classmate piglets who squeal incessantly on each other how to know when to tell and when to solve conflicts themselves. Includes Note to Parents and Teachers. This is the first one I am ordering off of this list. My friend who teaches second grade LOVES this book. From the book description: “Meet Spoon. LESSON: Patience, Respect, Kindness, etc. (Varies by book). For teaching Fair: I get a bite, you get a bite. For Regret: I wish I didn’t eat so many cookies. For trustworthy: If I say I’ll watch your cookie, it will still be here when you get back. VERY cute books! 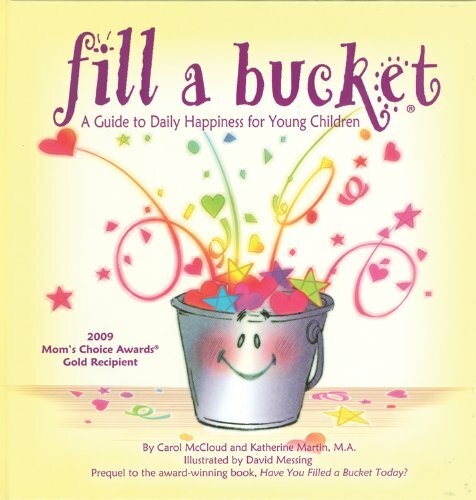 Book description: When children have their buckets filled and learn how they can fill other people’s buckets too, they understand how special, valuable, and capable they are. 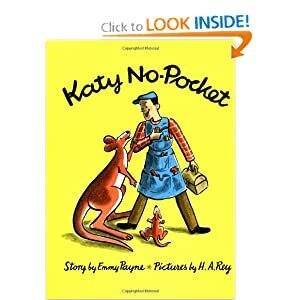 Book Description: this heartwarming book encourages positive behavior as children see how rewarding it is to express daily kindness, appreciation, and love. Bucket filling and dipping are effective metaphors for understanding the effects of our actions and words on the well being of others and ourselves. Book Description: Oh, would that all bullying problems could be solved so easily! Mean Jean is the reigning Recess Queen, pushing and smooshing, hammering and slammering the other kids whenever they cross her. And then one day a puny new girl shows up on the playground and catches Mean Jean completely off-guard. Not only is little Katie Sue not the least bit intimidated by the bully, she actually asks her to jump rope with her. In no time flat, Jean and Katie Sue are best buddies, and the playground is safe for all again. Book Description: Meet Beatrice Bottomwell: a nine-year-old girl who has never (not once!) made a mistake. She never forgets her math homework, she never wears mismatched socks, and she ALWAYS wins the yearly talent show at school. In fact, Beatrice holds the record of perfection in her hometown, where she is known as The Girl Who Never Makes Mistakes. Life for Beatrice is sailing along pretty smoothly until she does the unthinkable–she makes her first mistake. And in a very public way! 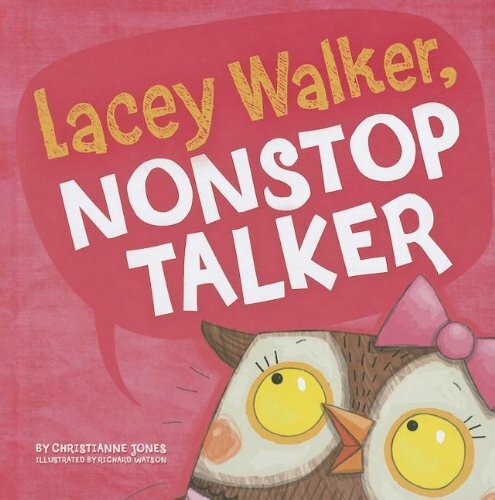 Book Description: Lacey Walker loves to talk. She talks all day, and sometimes all night. But when she loses her voice, Lacey learns the importance of listening. LESSON: treat others the way you would want them to treat you. Book description: Young children accustomed to expressing themselves with tantrums, gestures, or simple silence need to learn that using their words is the best way to make their thoughts and feelings heard. This book helps kids learn to say ‘please’ and ‘thank you’ and express themselves in productive ways. Book Description: Melvin throws fit after fit when he doesn’t get what he wants. He must learn how to deal with disappointment. After all, you get what you get and you don’t throw a fit. 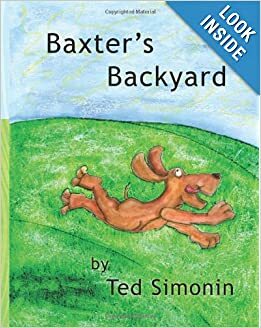 Book Description: Baxter is sitting inside his doghouse when a bird comes along and tells him how amazing the world is beyond his backyard. Will Baxter leave his home? Will he find a way over the fence? Will the grass be greener on the other side? 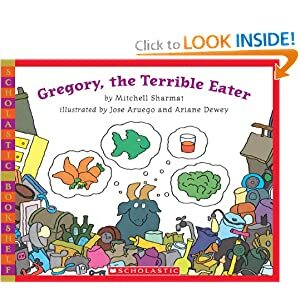 Book Description: Gregory isn’t like most goats. Instead of indulging in delicacies like old shoes, boxes, and bottle caps, he prefers to eat fruits, vegetables, eggs, and fish. Mother Goat and Father Goat are disgusted, and after several attempts to get Gregory to eat like a proper goat, they finally take him to see Dr. Ram. But when Gregory finally develops a taste for flat tires and broken violins, he’s not just eating like a goat—he’s eating like a pig! Will Gregory be able to find a healthy balance before he eats everything in the house? 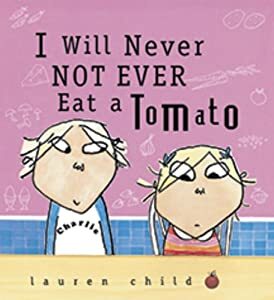 Book Description: Lola is a fussy eater. A very fussy eater. She won’t eat her carrots (until her brother Charlie reveals that they’re orange twiglets from Jupiter). She won’t eat her mashed potatoes (until Charlie explains that they’re cloud fluff from the pointiest peak of Mount Fuji). There are many things Lola won’t eat, including – and especially – tomatoes. Or will she? Two endearing siblings star in a witty story about the triumph of imagination over proclivity. 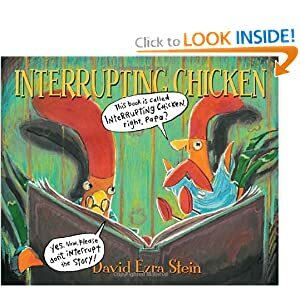 Book Description: It’s time for the little red chicken’s bedtime story—and a reminder from Papa to try not to interrupt. But the chicken can’t help herself! Whether the tale isHansel and Grettel or Little Red Riding Hood or even Chicken Little, she jumps into the story to save its hapless characters from doing some dangerous or silly thing. Now it’s the little red chicken’s turn to tell a story, but will her yawning papa make it to the end without his own kind of interrupting? Energetically illustrated with glowing colors—and offering humorous story-within-a-story views—this all-too-familiar tale is sure to amuse (and hold the attention of) spirited little chicks. A favorite joke inspires this charming tale, in which a little chicken’s habit of interrupting bedtime stories is gleefully turned on its head. Book Description: Alexa Grace is having a bad day, but then Grandma arrives with something special for “Grandma’s Little Punky Grace”—an Ebenezer jar that she thinks is very peculiar. Grandma explains that an Ebenezer is a “stone of help” and represents God’s blessings. Alexa Grace wonders if she can fill the jar with some of God’s blessings. She goes on the hunt with her furry Newfoundland puppy and Grandma, and Alexa Grace’s new blessing jar soon overflows with God’s wonders. Filled with charming artwork, this heartwarming book is the first preschool children’s title by bestselling author Colleen Coble. 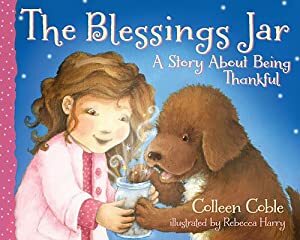 The Blessings Jar celebrates the bond between grandparents and grandchildren and teaches little ones an important lesson about recognizing even the smallest of God’s blessings and being thankful for them all. LESSON: God gives us so many blessings. Let’s look and see all we have to be thankful for! Book Description:Translated into more than sixty languages, this classic tale of a peaceable bull has been a favorite of readers across the world for generations. Book Description: Gerald the giraffe doesn’t really have delusions of grandeur. He just wants to dance. But his knees are crooked and his legs are thin, and all the other animals mock him when he approaches the dance floor at the annual Jungle Dance. “Hey, look at clumsy Gerald,” they sneer. “Oh, Gerald, you’re so weird.” Poor Gerald slinks away as the chimps cha-cha, rhinos rock ‘n’ roll, and warthogs waltz. But an encouraging word from an unlikely source shows this glum giraffe that those who are different “just need a different song,” and soon he is prancing and sashaying and boogying to moon music (with a cricket accompanist). In the vein of Rudolph the Red-Nosed Reindeer, Gerald’s fickle “friends” quickly decide he’s worthy of their attention again. Book Description: Chester Raccoon doesn’t want to go to school–he wants to stay home with his mother. She assures him that he’ll love school–with its promise of new friends, new toys, and new books. Even better, she has a special secret that’s been in the family for years–the Kissing Hand. This secret, she tells him, will make school seem as cozy as home. She takes her son’s hand, spreads his tiny fingers into a fan and kisses his palm–smack dab in the middle: “Chester felt his mother’s kiss rush from his hand, up his arm, and into his heart.” Whenever he feels lonely at school, all he has to do is press his hand to his cheek to feel the warmth of his mother’s kiss. Chester is so pleased with his Kissing Hand that he–in a genuinely touching moment–gives his mom a Kissing Hand, too, to comfort her when he is away. 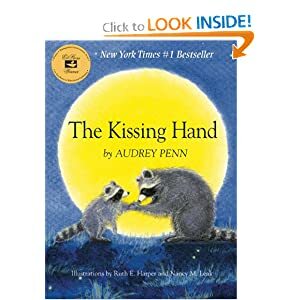 Audrey Penn’s The Kissing Hand, published by the Child Welfare League of America, is just the right book for any child taking that fledgling plunge into preschool–or for any youngster who is temporarily separated from home or loved ones. 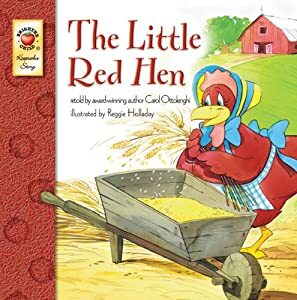 Book Description: In this beloved tale, the Little Red Hen makes delicious bread that her lazy friends can’t resist. Children will eagerly continue reading to see what she will do when everyone wants a taste! –Between the pages of the Brighter Child(R) Keepsake Stories books are the classic tales of magic, imagination, and inspiration that will delight children again and again. From the hard-working Red Hen to the foolish Gingerbread Man, these stories will capture children’s interest and spark their imagination page after page, inspiring a lifelong love of literature and reading. From Head to Toe: Everyone has different abilities, you never know what you can do unless you try! It’s a folk story but the little golden books has it. It teaches how important work and service is. And if you don’t do the work you don’t get the rewards. Teaches how what others think about you doesn’t matter because you’re special in “heavenly fathers” eyes. And as long as you know that it doesn’t matter what others think. How could I forget the little red hen? And You are Special is a classic! I probably forgot to put that one on because I have like 3 copies (2 from a baby shower). haha! 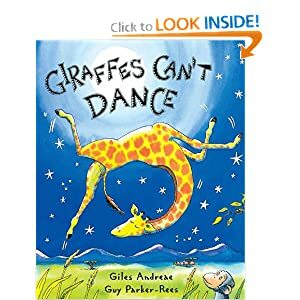 A new favorite in our house is “Giraffes Can’t Dance” by Giles Andreae. My son picked it out because of the giraffe on the cover but come to find out it is a great book that teaches that everyone moves to their own music. The other animals call Gerald weird and laugh when he tries to dance like them but he finds out he just needed his own music. It’s a great one! Just came across your blog, it’s lovely! 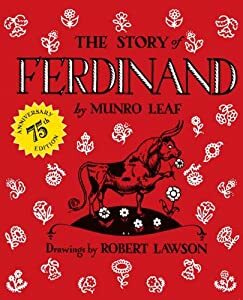 My children are grown but a book they still speak of is ” The Story of Ferdinand the Bull ” by Munro Leaf. Beautifully written with the moral of being true to oneself, with love and acceptance. Your daughter maybe a little to young but a wonderful book to keep on the shelf for when she is older. If you should pick this story please feel free to give your gift to anouther mother with little ones. The Kissing Hand is a favorite in our house. It’s about a little raccoon going to school for the first time – teaches that you have to be brave and strong, but Mommy always loves you. A great read for first-time preschoolers! Thanks Katie! I’ll have to add it to the list! Congrats Katie! Thanks to random.org, you were picked as our winner! I would love to send you one of my two favorites that I listed (unless there is another one on the list that you really, really want). That’s one of our favorites too! These are fantastic! I used to teach first grade, and a lot of these look familiar, but I also see some new ones. Just by reading the titles, I can tell my three young boys would benefit from ALL of these. Thanks so much for sharing! Enjoy your day! Just wanted to let you know this was featured today on ‘Or so she says…’! Thanks so much for linking it up. Hope to see you and your great ideas again! This is a great list! I’m so glad you shared it. I’d love it if you’d share it or other book-related posts you have at my weekly book-related link-up party, Booknificent Thursday at mommynificent.com. Thank you for the list. To be honest, I hadn’t heard of many of the books and I’m a former teacher! I will definitely be checking them out with our little ones. My daughter (3 years old) absolutely LOVES any Eric Carle book. Her favorite is From Head to Toe. When I first read it to her at age 2, she had a hard time doing any of the motions. But we talked about how people have different abilities and that with some trying and patience maybe she would be able to do some more of the movements. She still has a hard time with a couple, but loves that she’s learned some. I’m not sure if the lesson is there for everyone, but for my daughter it’s about trying. You never know what you can do unless you try, and sometimes it takes more than just one try! Thanks Ted! I’ll take a look! Good morning. I may be somewhat late to the party but there is an author that is so beyond as good as it gets that I have to share him. He’s a hidden gem. Have you heard of Mark Ludy? I adore all of his books. And they are all trenched in good morals. I recommend “The Farmer”, and “The Grump”. If you have a younger reader though, he has a wordless picture book called, “The Flower Man”. This will keep your kid enthralled for hours. Anyway, I hope you love this author. I’ve adored him ever since I stumbled onto his books. I’m thankful to hear it. I hope you’ll love him as much as I do. I absolutely love the message in Stand Tall Molly Lou Mellon. It is a great book about loving your own unique self. Thanks Shannon! I’ve actually read that book and totally forgot its title! It’s very cute. Adding it to the list! I think all of these titles on one shelf would make for a very lucky kid! This post is exactly what I was looking for! Thank you so much for the awesome list. I’ll add one more that was recommended by our librarian yesterday & I already love it. It’s a Berenstain Bears book called “The Berenstain bears get the gimmies”. It’s about being greedy and expecting treats everywhere you go. Andie, thanks for the suggestion! That’s funny, I actually had that movie growing up! I know that story well! 😉 adding it to the list! If you like it, feel free to share the link while it’s still free : ) Thanks a bunch for the list! So glad you featured the “bucket” books. The are a staple in our house and I have been giving a gift bucket with it and other goodies for all baby shower gifts. Another favorite in our house is Little Blue Truck, by Alice Shertle. 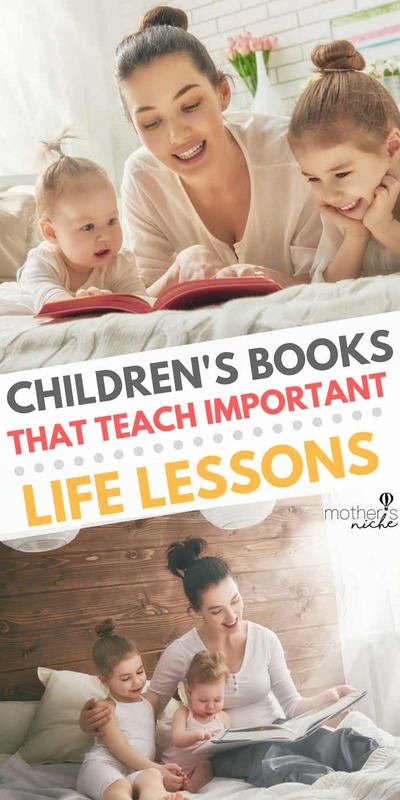 There are several books and they all have simple, yet valuable lessons. The illustrations are great and there are great repeated sounds that my boys love to shout out as we read. I realize I’m very late reading this post…but I still wanted to comment :). You have put together a GREAT List! Thanks so much! The only ones I can think to add would be the Dr. Seuss books. Particularly The Lorax, Horton Hears a Who, and How the Grinch Stole Christmas. These all teach important lessons in books that are fun to read and look at! 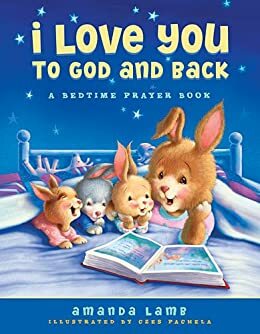 Also, someone already mentioned Max Lucado’s “You are Special” I would like to give that one a RESOUNDING Two Thumbs Up as well as his other children’s books: “Because I Love You”, “You Are Mine”, and “Just In Case You Ever Wonder”. Oh my goodness – what a great list of books! I absolutely love, love, LOVE children’s books and have been collecting them for years. We don’t have kids yet, but when I do – I’ll definitely be referring to this list. Thanks for putting it all together. PINNING! Aesop’s Fables are all fabulous – my personal favorites include “The Ant & the Grasshopper” (hard work, responsibility) “The Crow & the Pitcher” (perseverance, little efforts make big changes), & “The Dog & his Reflection” (be content with what you have). Another favorite is Alexander & the Terrible, Horrible, No-Good, Very Bad Day (everyone has bad days, each day is a new day). I have read to my class The Hundred Dresses and love the lesson of how bullying is hurtful yet the bullied girl’s response is forgiveness. My 3rd grade class was really impacted by it. Your list is awesome! I have some I need to give as gifts! Thank you! Thank you so much for taking the time to put this list together. I look forward to making a trip to the library to pick up these amazing books. I would like to add a book to the list. It’s an oldie but goodie ( The Giving Tree by Shel Silverstein) It teaches about the gift of giving, sacrifice as well as greed. This books always make my children emotional (sadness, frustration, happiness and compassion) all in one book. The Name Jar This is a really cute story of a girl who feels different from other American children because of her foreign name. The kids in her class all make their suggestions by putting a name for her in the name jar.It is very cute and helps children accept who they are and their differences. By the way, there is a typo, on the moral of the book, The way I act. ILESSON: How we act effects other people. Teaches traits such as compassion and bravery. It should use the word “affects”. Thanks for the great list. I write picture books that are socially conscious. Since this year i am in the Barnes & Noble system, and sell on my website. Basically i love reading to preschools and discussing tppics. My recent book is about a green bean in veggie soup who kicks all the other veggies out because they aren’t the right color, only to find people like veggie soup with other veggies in it. Anything by Gary and Jan Bower. Wonderful character building books with beautiful illustrations. Fantastic writing, and they don’t get old after reading over and over again! You can find some of their stuff on Amazon. There is a lovely series of fairy tales/fables available written by Mariken Karnas. Each book has 20 stories and in November book 5 will be back from the printers and for sale. (editor Mr Chris Benge) Each story has a moral and the books do have a recommendation by child therapist Mr Johannes Sijbrant. You can find a few free stories if you type in Google; Mariken Karnas and for the best result click on Kapiti Print Media. May I be so bold as to recommend my own, The Rescuers? I’m an elementary school teacher and I wrote this book about random acts of kindness with character education in mind. Your child is probably still a bit young for it, but I’ve read it with Kindergartners, and with proper guidance, they get it. It’s available on Amazon and Barnes&Noble.com. This is a PERFECT list. I love it! I recently published a children’s book called ‘Z is for Zip.’ It follows the alphabet backwards and each letter describes a different part of autism. It’s extremely important that parents answer the questions their kids have about disability in an age appropriate and respectful manner and this book can help families have that conversation. Please check it out if you can!! It’s been hard to get the word out. I enjoy your site; it is amazing!! Thanks for all the great books with summaries and brief lessons they teach!